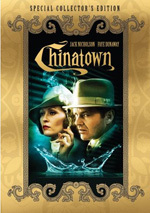 Chinatown appears in an aspect ratio of approximately 2.35:1 on this single-sided, double-layered DVD; the image has been enhanced for 16X9 televisions. This transfer did the film justice. Sharpness appeared clear and concise. On occasion some shots looked slightly soft or hazy, but these instances did not occur frequently. Instead, the majority of the film was crisp and detailed. No issues with jagged edges or shimmering materialized, and edge enhancement was minimal at worst. Source flaws stayed delightfully absent. This was a clean image without any noticeable print defects. Chinatown featured a restricted palette and preferred to use a rather sepia-tone impression. As such, colors were never terribly bright or bold, but they fit within the design well. A few times reds looked bold and dynamic, and the rest of the hues matched the overall scheme. In any case, I found no problems with the colors and thought they were pleasing. Black levels appeared deep and dense, and shadow detail also was usually clear and without excessive darkness. A few “day for night” shots presented slightly dense tones, but those examples were inevitable. I thought low-light shots were usually solid. Really, I found almost nothing about which to complain here, as this transfer made Chinatown look splendid. I also was impressed with the film's remixed Dolby Digital 5.1 soundtrack. Happily, the sound designers didn't go overboard with their creation and they kept the scope of the track within sensible limits. This means that while the mix opened up the spectrum well, it didn't provide lots of distracting auditory excessiveness. The forward channels spread out the audio well, as lots of solid ambient effects emanate from those speakers. They also offered the score with excellent stereo separation that made it livelier. How did the picture and audio of this 2007 “Special Collector’s Edition” compare to those of the original 1999 DVD? I thought both offered similar audio but the 2007 disc presented superior visuals. The new transfer appeared cleaner, tighter and more vivid. The old disc looked decent but the new one provided a substantial improvement. A few supplements flesh out the set. In addition to the film’s trailer, we find three featurettes. Chinatown: The Beginning and the End goes for 19 minutes, 30 seconds as it mixes movie clips, archival elements and interviews. We hear from director Roman Polanski, screenwriter Robert Towne, producer Robert Evans, and actor Jack Nicholson. “End” looks at the development of the project and script, the decision to get Polanski to direct and his influence on the screenplay, and other changes along the way. “End” offers a pretty intriguing glimpse of the film’s pre-production. It digs into the story elements nicely and acts as a good intro to the making of the flick. Next comes the 25-minute and 36-second Chinatown: Filming. It involves Polanski, Evans, Nicholson, and Towne. 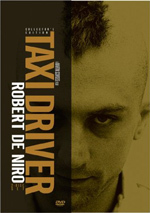 This one looks at locations and sets, period details and visual choices, cast, characters, and performances, and notes from the shoot. Various stories offer the best parts of “Filming”, as it includes a number of amusing anecdotes. We also learn a fair amount about the production in this useful program. Finally, we locate Chinatown: The Legacy. This nine-minute and 40-second piece includes notes from Polanski, Nicholson, Evans and Towne. We learn a bit about the movie’s score as well as its reception. This one proves less informative than its predecessors, but it still includes a mix of nice details. It’s worth a look. This “Special Collector’s Edition” loses the main supplement from the prior DVD. That release offered about 13 minutes of “retrospective interviews”. However, the new featurettes pretty well encompass the information from that set, so I don’t miss the interviews. As is the movie itself. Actually, Chinatown qualifies as a great movie, and one that deserves its status as a classic. The DVD provides pretty terrific picture and sound plus some interesting featurettes. Chinatown is a terrific film that definitely warrants your attention. That statement goes for those who already own the original Chinatown DVD. This is an easy recommendation for folks who don’t have the old release but I think it’s very worthwhile as a double-dip as well. The new extras are pretty interesting and the picture quality marks a good upgrade. 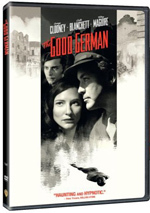 Since Paramount priced the DVD at a dirt-cheap $14.99, this is a no brainer; go ahead and grab this one ASAP.